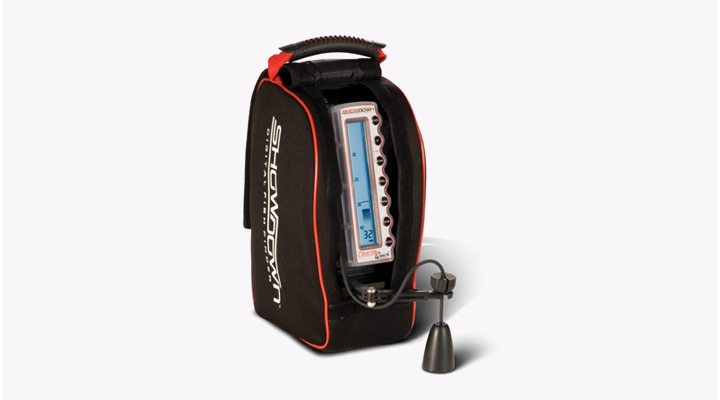 The Marcum Showdown 5.6 Digital Sonar System is a part of the Showdown Series of devices that are light-weight, portable and optimized for ice fishing. 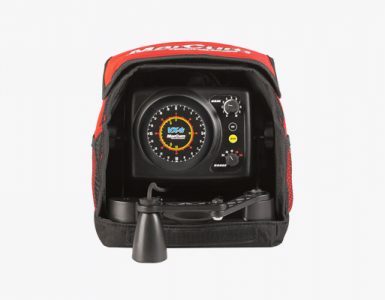 This fish finder features an advanced version of the earlier Showdown Digital Sonar System; from the features, it is obvious that the manufacturers are striving for perfection. The system is extremely functional but still user-friendly. Why Choose MarCum Showdown 5.6 Digital Sonar System? What are the drawbacks for the MarCum Showdown 5.6 Digital Sonar System? 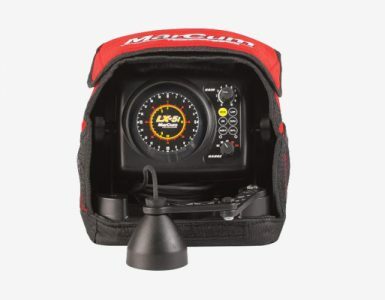 The Marcum Showdown is a 1000W (true RMS) fishfinder with one 20-degree 200-kHz transducer that allows you to scan wide areas. The device is extremely precise, being capable of 0.5-inch target separation. The maximum scanning depth of the system is 240 feet (73 meters). The device has a 10-level interference rejection system, so signals from nearby sonar systems will not cause any trouble. Features include 25 sensitivity settings, automatic range control, automatic depth scale adjustment and surface clutter elimination. Marcum Showdown has an unusual vertical grayscale LC display that provides a clear picture so you will be able to read the data in any weather conditions. The package includes all the essentials: a soft neoprene pack for the device, a battery charger, and a 12V 9-amp rechargeable battery. Key features: The key features described above are what make the Marcum Showdown 5.6 Digital Sonar System so attractive. It is obvious that this device was created by people who know the challenges of ice fishing. Not only will you avoid interference from other sonar systems, you will find the perfect sensitivity settings when so many options are available. Powerful device: This feature deserves special attention since the Marcum Showdown 5.6 is an exceptionally powerful portable device. Its true RMS is 1000W, but peak to peak power output is 8000W, which is what gives the system its impressive 0.5-inch target separation. Additional features: Some of the system’s features are not as essential, but they definitely add to the appeal. The moveable and adjustable unlimited zoom, the ice mode that triggers an inbuilt heater to help the LC display, the accessories all of these features reveal how much thought went into the design of this system. User-friendly: It is not uncommon for complex, professional systems like this one to be difficult to operate. There is a manual for the device, but rest assured that you will not need to study page after page to navigate a complex menu for the simple reason that there is no menu. That is right, the system only has seven buttons, all the functions of which are explained in the manual. The display is grayscale, but it is high-contrast and provides a clear image. Apart from that, it is backlit (the light can be switched on and off) and therefore viewable in direct sunlight. For added convenience, the zoom automatically adjusts to the bottom of the display, and you can readjust it and define your own settings. Silent operation: The device does not have any motor or moving parts, so it does not produce the noise you might expect from such a system. The absence of mechanical parts also means that the battery lasts longer. Marcum promises that Showdown 5.6 Digital Sonar System will go an entire day on a single charge. The footprint of Marcum Showdown 5.6 is half the size of a typical ice fishing flasher, which is yet another plus of removing the motor. As a result, the system is convenient to use and transport. It wasn’t easy, but we did manage to find a couple of disadvantages to the current system. Single-beam: Marcum Showdown 5.6 is only single-beam, though a dual-beam alternative is available from the same manufacturer that costs $$ more. The vertical display: People who are used to the circular display type may find it a bit confusing to now interact with a new vertical one at first. Still, as the manufacturer claims, this kind of display is, in fact, more intuitive, since it makes sense to represent the water column vertically, and it can be easily understood by anyone. The grayscale display: With all these stunning features and advanced technology, you might expect this device to have a color display instead of the (admittedly high-quality) grayscale one. Indeed, the grayscale display has its pluses, including ease of reading in direct sunlight. Given all of this, it is not surprising that Marcum Showdown 5.6 has met with positive reviews. Its advantages are numerous, any disadvantages minor. The device has as much to offer professional anglers as it does beginners with its user-friendly interface, diverse and advanced functions and powerful scanning capabilities. If you are a real fan of ice fishing, you should definitely consider buying this device!